But I took it back because I came up with a less expensive, more fitting alternative! One that wouldnt blend in with the color of my front door...something just a bit more unique. I was looking for ways to use up all of the old Good-Will frames I bought to showcase my portraits for this Gallery night. 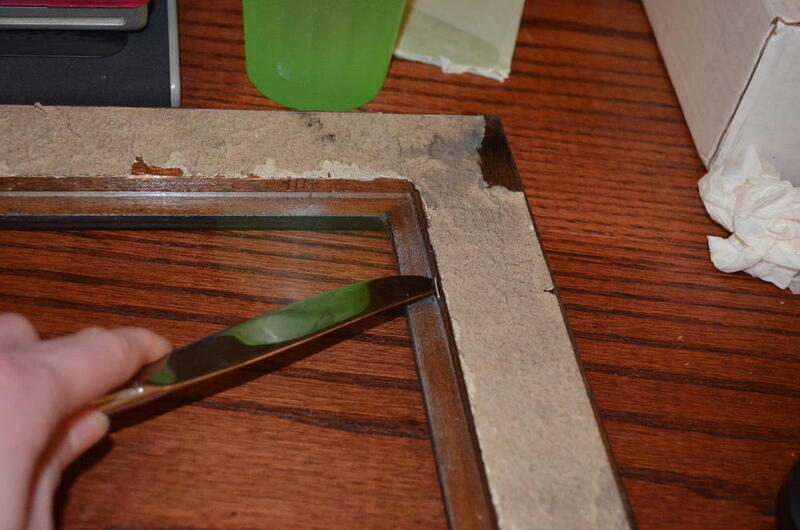 First, I pulled out all of the backing of this old frame from Good Will. Then I spray-painted the brown frame black. I hammered a tiny hole with a nail first and then hand screwed tiny hooks. They cracked slightly, but didn't wreck the integrity of the wood. It hung so nicely! I was thrilled. On went the leaves and then the flowers ...hydrangeas. My favorite! And then, picking the ribbon?? I was very pleased with the end result and now, for a fraction of the cost of my favorite wreath, I have a personalized one, good for spring and summer to welcome us and our guests! If you try one, please let me know! I would LOVE to see your ideas!! Happy Wednesday! !